There are 50 states in our country, along with five US territories and the District of Columbia. As the national capital, the District of Columbia is a federal district under the direct jurisdiction of the United States Congress. 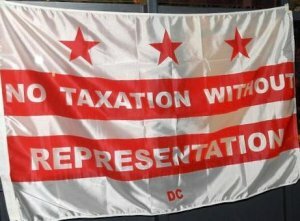 Statehood would grant the District voting representation in the Congress and full control over local affairs. The battle over control of the nation's capital began In 1783, following a protest by unpaid Revolutionary War soldiers outside the then-Continental Congress. The neighboring Pennsylvania state government declined to call out its militia to deal with the unruly mob, and Congress was forced to adjourn to New Jersey. The incident spurred a belief that Congress needed control over the nation's capital, and resulted in the creation of a national capital, separate from any state, by the Constitution's District Clause. The land on which the District is formed was formally ceded by Maryland In 1788. Under the 1790 Residence Act passed by Congress, the District, as defined byPresident George Washington, was placed on the Potomac River between the Anacostia River and what is now called the Conococheague Creek. 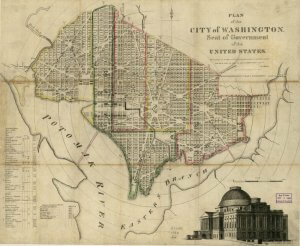 The Congress officially moved to the new federal capital in December of 1800, and subsequently passed the District of Columbia Organic Act of 1801, incorporating the new federal District as the seat of the United States federal government. This act effectively stripped District residents, no longer a part of any state, of their voting representation in Congress and the Electoral College, as well as a voice in Constitutional Amendments and the right to home rule. The citizens of DC would not be granted the right to vote for president until 1961, with the passage of the 23rd amendment, although they still do not have a voting representative in Congress. 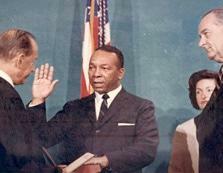 In 1967, commissioners, DC's ruling body for almost 100 years, were replaced by a mayor and city council, although still appointed by the president. In 1970 the District was allowed to elect a non-voting delegate to the House of Representatives, and in 1973 Congress passed the Home Rule Act, finally giving DC residents the right to elect their own city council and mayor. Congress, however, still retains ultimate authority. 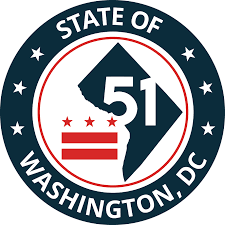 In a 2016, 86% of DC voters overwhelmingly approved a referendum in favor of statehood, calling for the DC Council to petition Congress to admit the District as the 51st State. Under Article IV, Section 3, Clause 1 of the US Constitution, Congress is granted the power to admit new states to the Union. The proposed state name on the 2016 referendum was "State of New Columbia", a resolution passed by the D.C. District Council changed the name to State of Washington, D.C. in which "D.C." stands for "Douglass Commonwealth," a reference to African-American abolitionist Frederick Douglass, who lived in Washington, D.C. from 1877 to 1895. More than 150 constitutional amendments and bills have been introduced to provide representation to the District of Columbia. Opponents of DC statehood claim the new state might enact policies inconsistent with operating the US government for the benefit of the nation as a whole, and would make the federal government dependent on a single state for its security and operations. Conversely, they say the newly formed state would be unique in that interests would be dominated by those of the federal government, which would be the state's largest employer. Political opponents also point to the expanded and potentially unfair influence DC, which would be by far the country's smallest state, would have on national politics. In truth, the 700,000 residents of DC already pay more taxes per capita than any state. Statehood could also mean two new Democratic seats in the US Senate, as District residents are overwhelmingly Democratic, voting for Hillary Clinton with 90.86% in 2016. On March 8th of this year, the US House of Representatives voted, along party lines, to pass the H.R. 1, the "For The People Act." that endorses full congressional voting rights and self-government for the District, marking the first time a chamber of Congress has endorsed D.C. statehood. 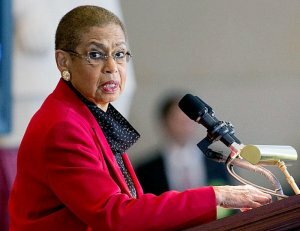 On the "historic" vote, Delegate Eleanor Holmes Norton (D-DC) said, "After decades of struggle, the House of Representatives recognized today that the time has come for D.C. statehood." While the bill is not expected to be taken up in the Republican-controlled Senate, it may pave the way for a more specific statehood measure called the Washington, D.C. Admission Act, which would make the district the country's 51st state. Also known as H.R. 51, it has the support of both House Speaker Nancy Pelosi and Senate Minority Leader Chuck Schumer. The bill is expected to be brought to the floor later this year.